This season it's super easy to update your wardrobe with key accessories. 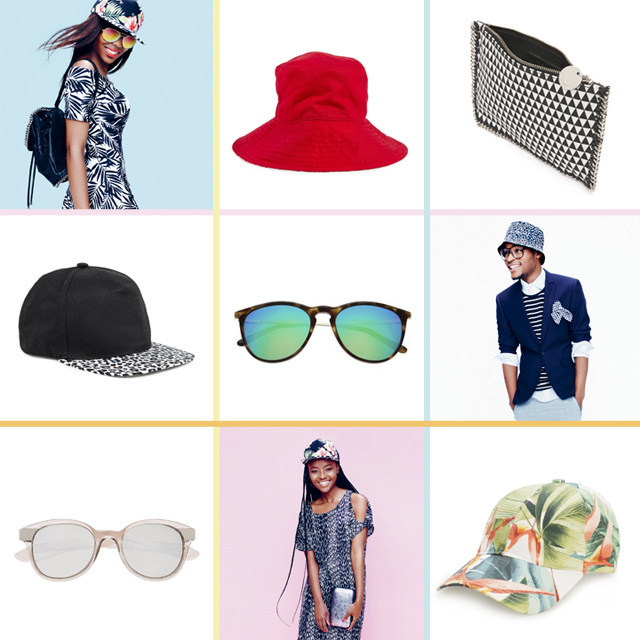 Sports luxe is still a big trend moving in to summer, so you can't go wrong with sporty peak cap in a tropical print. You can also give your trendy look a local spin with a colourful bucket hat, like the red one above (if you're feeling more adventurous you can also try the animal print or denim one from Woolworths). A new pair of shades can do wonders for your outfit as well as attitude, while a metallic clutch or chic backpack can add the final touch to a sassy summer look. All of the above items are available from Woolworths, shop now.